This Is What The Half-Life 2 Gravity Gun Replica Looks Like. Cool. 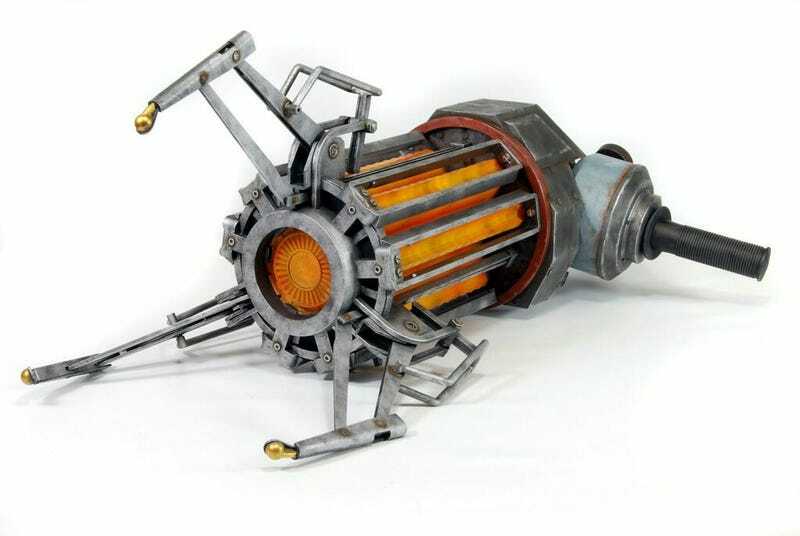 Last year, we saw a prototype of a Half-Life 2 gravity gun made by NECA, a toy company previously behind the replica Portal guns. While the gravity gun replica won't be out until June, NECA released the first official image of the final design this Monday. Take a look. The ZPEFM is nearly 2 feet in length and features glowing orange LEDs, 2 handles, 2 triggers, and 4 unique sounds directly from the game. As a bonus, a carefully concealed fold away kick-stand allows you to display your device on the shelf or desktop when not in use. Requires 3 “C” Batteries, not included. In addition to this reveal, NECA has also opened up pre-orders for the replica.